As was the case with the Class B Airspace around Houston several months ago, the Class B Dallas airspace has been overhauled as well. These changes were implemented at the last database update on September 18th. If you’ll be flying into any of the Dallas airspace airports IFR, make sure you have current charts and your GPS databases are updated. According to AOPA, 14 SIDs and STARs were deleted, a number of new procedures were added, and changes were made to most of the other remaining procedures. The new procedures in the Dallas airspace consist mainly of RNAV procedures for turboprops and jets, so most GA aircraft won’t be affected by those. The legacy procedures that remained in place over went changes, including new frequencies, so piston aircraft going into the Dallas airspace are still affected. From AOPA, departures from Dallas Love (KDAL) that file their flight plan with special equipment /G in their flight plan will automatically be given an RNAV departure procedure. This does not appear to affect piston aircraft as all the new RNAV SIDs in the Dallas airspace are for turboprops or turbojets. The reason for the changes to the Dallas airspace? Similar to the changes in Houston, these airspace changes are meant to streamline departures and arrivals in the Dallas airspace area, reduce controller workload, and give continuous descent angles for arriving high altitude traffic. Don’t be surprised the next time you are in the Dallas airspace area if you receive a clearance that states: “Descend via the arrival.” In that case, just check the chart and aim for the appropriate altitudes at the appropriate fixes. As we move closer to the ADS-B requirement, I believe we will see more and more of these terminal procedure overhauls, so be prepared and keep those charts and databases up to date. The debate about which headset is the better product will never cease. We do know this for sure, though, Lightspeed and Bose make the best noise canceling headsets out there. David Clark’s offering doesn’t match up with these two. Newcomer AKG has a light (weight-wise that is, as the headset is equipped with a pair of LED lights as well) ANR headset that the jury is still out on. For now, Lightspeed and Bose sit atop the ANR kingdom. 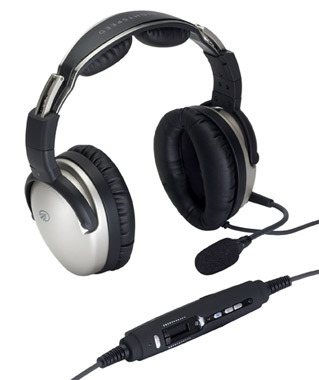 The comparison for this article will be between the Lightspeed Zulu 2 and the Bose A20 headsets, both of which I have used quite extensively in my flying career. I am officially in the Lighspeed camp at this point and after reading my comparison below, you’ll see why. 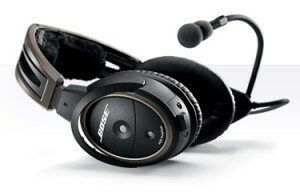 The other advantage Bose has is a continuation of the noise canceling. About the only thing I don’t like about the Lightspeed is if you don’t have the headset sized just right on your head, each time you turn your head to look at something, then the suction gets broken around the ear cup and you get some ambient noise. My glasses probably don’t help with this. It’s not that big of a deal, you just have to readjust the size of the headset, but, since I’m a little OCD, it bugs me. Once I get the set sized right, it’s smooth sailing. Far and away, the Lightspeed Zulu 2 is much more comfortable than the Bose A20. I flew for 5 hours in the right seat with my Lightspeed set on the other day. I switched to the left seat for the last leg and used the owner’s A20 headset since it was plugged in on that side already and I noticed quite a bit of difference. The ear cups seemed to press against my head more. The pad on top of my head didn’t seem to be as cushiony. It just wasn’t overall as comfortable as the Lightspeed Zulu 2. Bose has made a lot of progress from their original noise canceling headsets. Those didn’t have much of a cushion on top at all. After about 2.5 hours, the slim ear cushions began to dig in to the side of your head. So, the A20 has made some progress, but the Lightspeed Zulu 2 takes the cake in comfort. “Wait!” You Bose boys scream (no pun intended). “The A20 is lighter than the Zulu 2!” While this is true (the Zulu 2 weighs in at 15.7 oz while the A20 is only 12 oz), the way that weight is distributed makes a massive amount of difference. The Lightspeed Zulu 2 feels lighter on top of your noggin than the A20 because the weight of the A20 is firmly planted on the top of your head in a single point. With the Zulu 2, the weight is distributed evenly across the top of your scalp, so even though the set is heavier, it feels lighter on your head because the weight is not all concentrated on one point. All this adds up to why I like the Lightspeed Zulu 2 more than the Bose A20. As for a practical example, I wore my Lightspeed Zulu 2 set for 9.1 hours one day two weeks ago. Needless to say, it was a long day. But, once I climbed out of the airplane, I had no pain on the top of my head and only a very little where my glasses ran along the side of my head. Now I call that a winner. 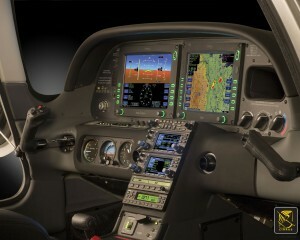 Have you looked longingly at the Aspen PFD or Garmin G500, imagining those beautiful glass panels set in your airplane? Think it’s too advanced for your flying skills? Well, think again! 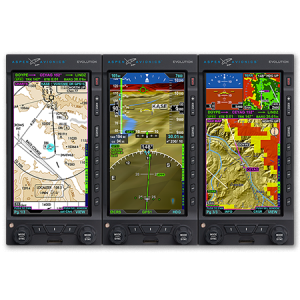 Hank Gibson of Texas Top Aviation will be hosting a seminar at the Redbird Skyport FBO at the San Marcos Airport (KHYI) on Thursday, September 25th at 7pm to enlighten everyone on all the different glass panel and modern GPS options out there. No panel is too complex! No GPS is too complicated! 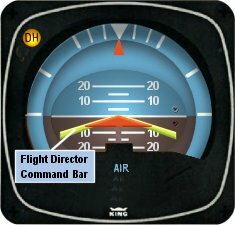 Come hear about how you can upgrade your steam gauge airplane to a modern, glass panel cockpit that will be the envy of all your pilot buddies. The seminar begins at 7pm in the large conference room at the Redbird Skyport. Come see this beautiful facility which hosted the AOPA Fly In this past April. There will be two drawings for free flight training in your airplane, so make sure you get your entry in once you arrive. WINGS credit will also be given. Redbird welcomes pilots flying in for the event. If you are flying in, please show your support for Redbird by purchasing fuel! Signup is required for the event. To sign up, please click here. I’ve noticed that a lot of general aviation pilots tend to ignore the flight director on the attitude indicator. A lot of pilots don’t even know what it’s there for or how to use it. Talk to any airline pilot, though, and he or she will tell you how important the flight director actually is. In most high performance airplanes, the flight director comes on when the autopilot comes on. Essentially, the autopilot is following the flight director, which tells the autopilot where to go. The flight director can also be used with the autopilot off, when hand flying an approach, for example. By turning the flight director on, it will show you where you need to fly to stay on course and on glide slope. The flight director is most often controlled by the autopilot controller. The same buttons you use to put the autopilot in heading mode also tells the flight director to follow the heading bug when the autopilot is off. When you move the heading bug (or change course on the GPS, depending on which mode you have selected), the flight director will show you when you need to turn and when you need to stop turning. It directs your flight attitude, hence the name. I recently discovered it’s a great backup when you have some instruments on the fritz. I went on a long flight in a steam gauge Piper Malibu and the attitude indicator started reading erratically. While flying straight and level, it would randomly indicate that I was in a 10 degree bank to the right, swing back and show wings level, then show a 3 degree turn left. This went on for a while. We were in VMC conditions, so legality wasn’t a problem, but it was kind of disorienting. After a little while of this, the autopilot started acting up. It would start oscillating the pitch up and down, making it seem like we were going through a moguls course in the air. I ended up turning the autopilot off and hand flying the airplane. This led to a conundrum, since my attitude indicator was unreliable. I could definitely look outside, since it was VMC, seeing when I was level and when I wasn’t. That would create a higher workload for me, which on a long flight like I was on, would lead to an increase in fatigue. The solution? The flight director! I turned the autopilot off, but I left the flight director up. It wasn’t referencing the bank angle that the attitude indicator was showing since the KFC 150 goes off of the turn coordinator. So, if I just followed the attitude indicator, I could just keep scanning the instruments and relieve a little bit of my workload. It actually worked really well. By just following the flight director, I was able to stay on course and on altitude with only minor attitude adjustments whenever we hit turbulence. So, if you’re attitude indicator and autopilot decide to stop working on you, then bring up the flight director, push the same buttons you would if you were using the autopilot, and it works as a great backup. 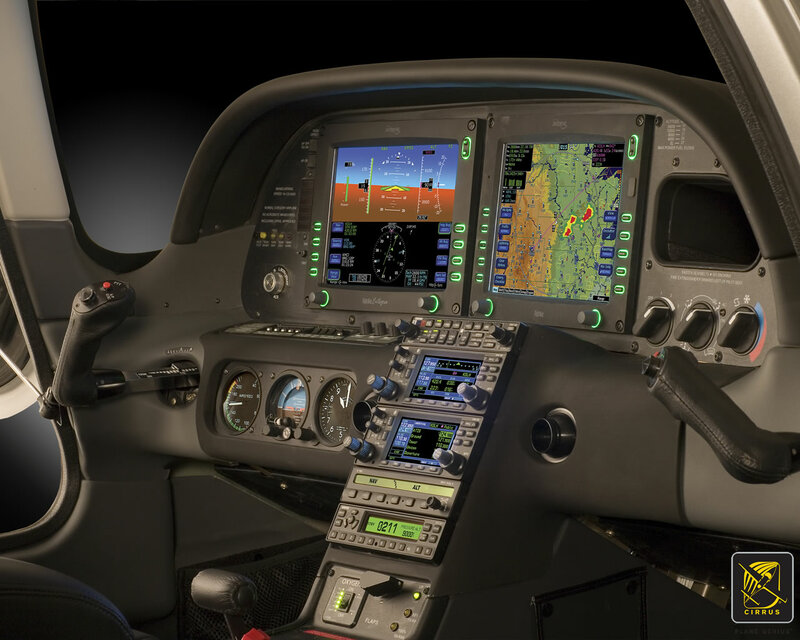 There are a number of airplanes out there equipped with the Avidyne Entegra PFD and MFD system, most notably the Cirrus SR20 and SR22 models from the early 2000s and the Columbia 350 and 400 from the same era. The Entegra is pretty simple and easy to learn, but doesn’t have the capability that it’s Garmin glass panel counterparts do (I have not, however, tried the R9, which could prove much more capable than it’s predecessor). I have found that pilots master the Entegra a lot quicker because of the reduced functionality. One of the nice features of the Avidyne Entegra is the CMAX Chartview option. With a yearly subscription, you can get all the Jeppesen approach plates and airport diagrams for the entire US on your MFD. Just like your GPS, though, you have to update the charts monthly to keep them legal. After a period of time when you don’t keep up with the updates (I believe it is 90 days), then the charts disappear. The update process is a little tricky if you don’t have someone to explain it to you. Once you go through it a few times, you’ll have it down pat. Here’s the process for the Avidyne Entegra Chart Updates. There are two different programs depending on if you have a PC or a Mac. If you have a PC, you need the Jeppesen Services Update Manager (JSUM). If you have a Mac, you need the Jeppesen Distribution Manager (JDM). Download whichever one you need, then login, and your updates will show up. First, we’ll go through the process of performing the Avidyne Entegra Chart Updates process for a Windows computer, using JSUM. You’ll need two 2 GB USB drives formatted to FAT 16. Here’s how to format to FAT 16. Next, we’ll go through the Avidyne Entegra Chart Updates process on a Mac, using the JDM program. You’ll need two 2 GB USB flash drives formatted to FAT 16 (the easiest way to format to FAT 16 is on a Windows computer, using the process above). Once everything is programmed the your USB drives, the rest of the process is simple. 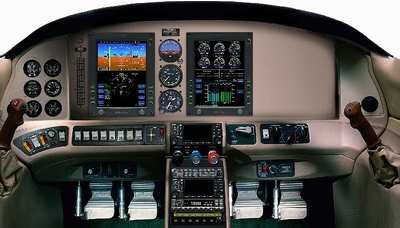 Just go out to your airplane, plug in the first USB drive with the Electronic Charts on it, turn your battery on and the avionics master, and the system will upload the information automatically. Once it’s finished, turn everything off, pull the USB drive out, then insert the second USB drive and do the same thing. If you’d like to see a video on the process, Jeppesen has some very good videos on the updating procedure. The links are below. If you have questions, please contact Texas Top Aviation and an expert will help you through the process.